THERE’S NOTHING LIKE WEIGHING IN AT YOUR LOCAL TACKLE SHOP! Mike Parker bagged this trophy striper off of the Jones needle with a live bunker. 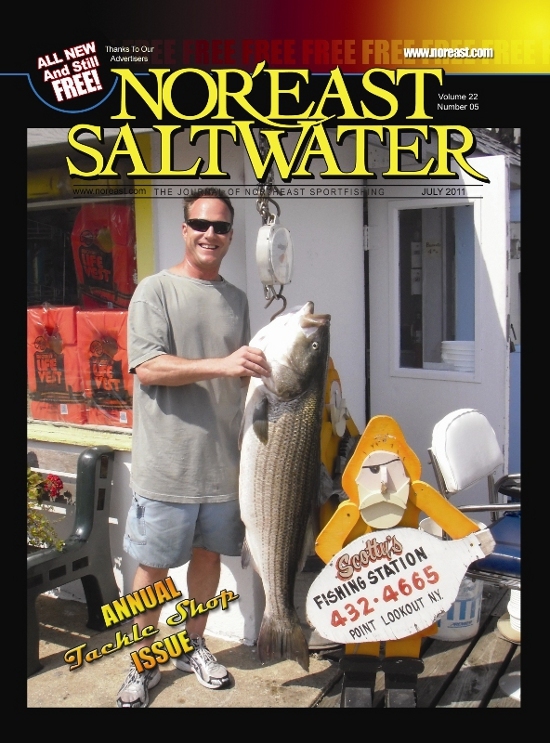 He then headed over to his favorite tackle shop and one of the handful of surviving fishing boat rental stations on Long Island - Scotty’s Fishing Station - to weigh it in. The trophy registered 55-pounds on the trusty scales at Scotty’s. Be sure to stop in to your local tackle shop, even if you don’t catch a trophy like Mike’s.